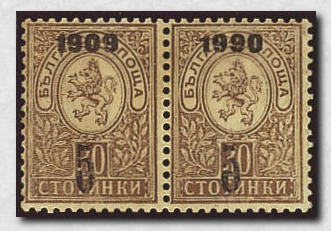 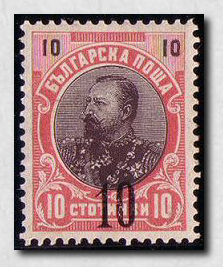 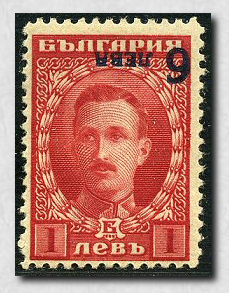 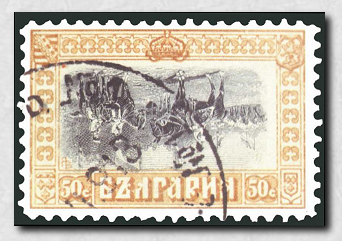 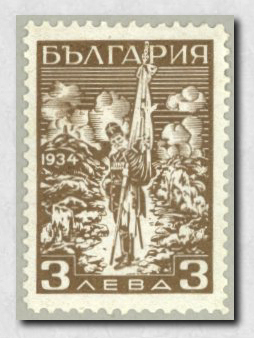 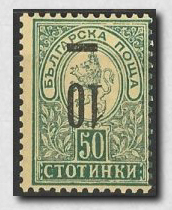 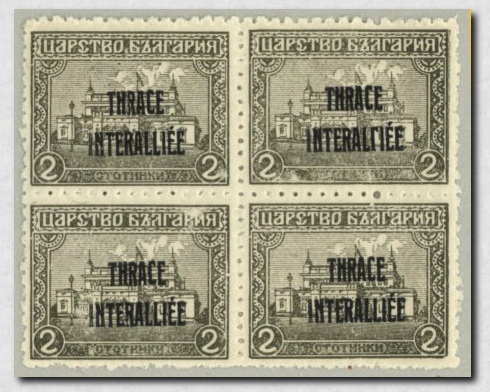 This gallery shows errors on classic Bulgarian stamps. 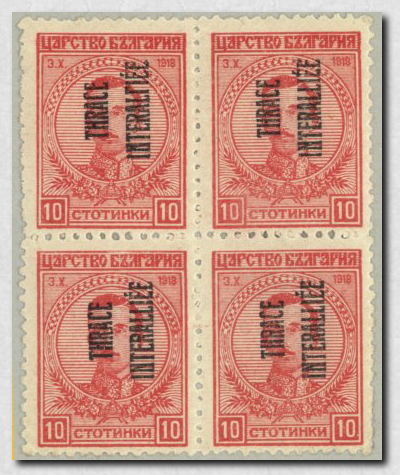 Especially among the overprinted and surchages issues various errors and misprints are common, but there are also a lot of plate errors on regular issues. 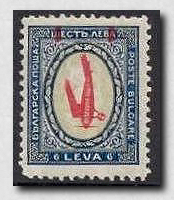 Perforation errors, however, are so common that I have decided to omit them from this gallery. 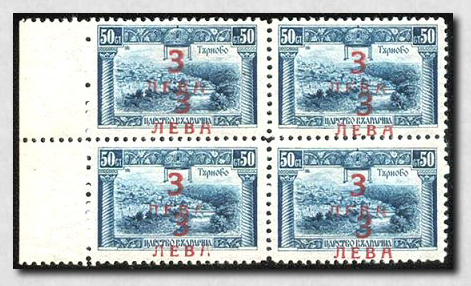 The overprint on the shown Mi #46 pair with one surcharge missing is forged. 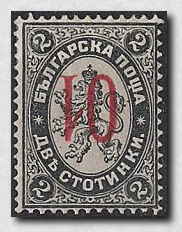 Compare the shape of this overprint with the inverted one! 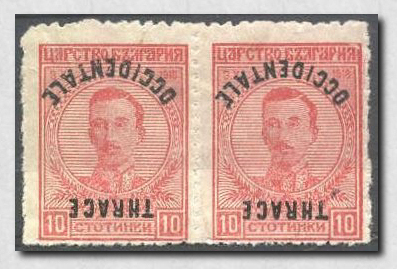 I have an examined pair (Karaivanoff) in my collection (see below). 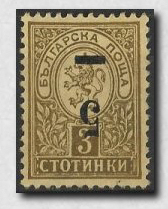 It looks quite another way. 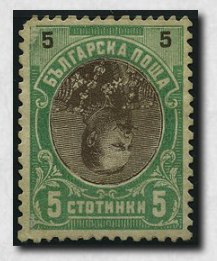 Regard the "neck" of the "5": It is crooked. 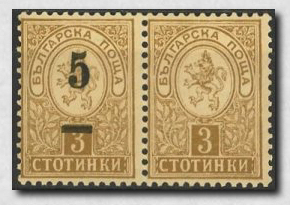 Original "necks" of the "5" are always straight. 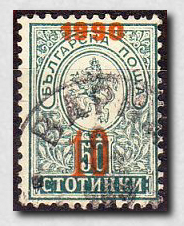 See also my page of forgeries of this issue! 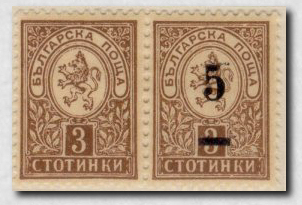 This is one of the most famous Bulgarian errors! 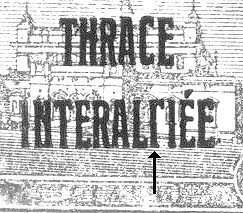 Inverted surcharge - The plane is "falling"! 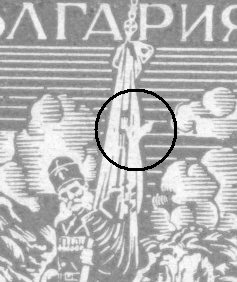 Plate error: "Dove in banner"